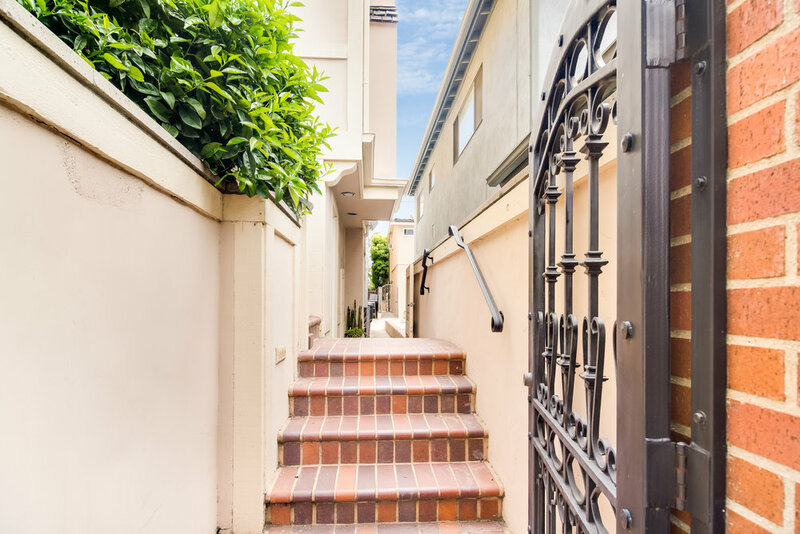 Unexpected Views Nestled on a cul-de-sac street just south of PCH in the heart of idyllic Corona Del Mar village, this wonderful property reflects a dream lifestyle with details, appointments, improvements & amenities that complement the beach ideal. From a private gated walkway, guests are welcomed through a glass paneled Dutch door into a two-level interior design where an abundance of windows add to the home's open flow. The living/dining room combination featuring a striking wood beamed ceiling is bright & breezy with a warming fireplace & floor to ceiling inset built-ins. The recently updated efficiency kitchen with granite countertops, white raised panel cabinetry, newer flooring & stainless-steel appliances is especially open & accommodating for meal preparation. The main level bedroom boasts decorative & functional built-ins, wood shutters, two closets and bath featuring a garden tub. A wonderful clerestory window draws attention at the landing leading upstairs where the bedroom and full bath include an inviting window seat & built-in desk. 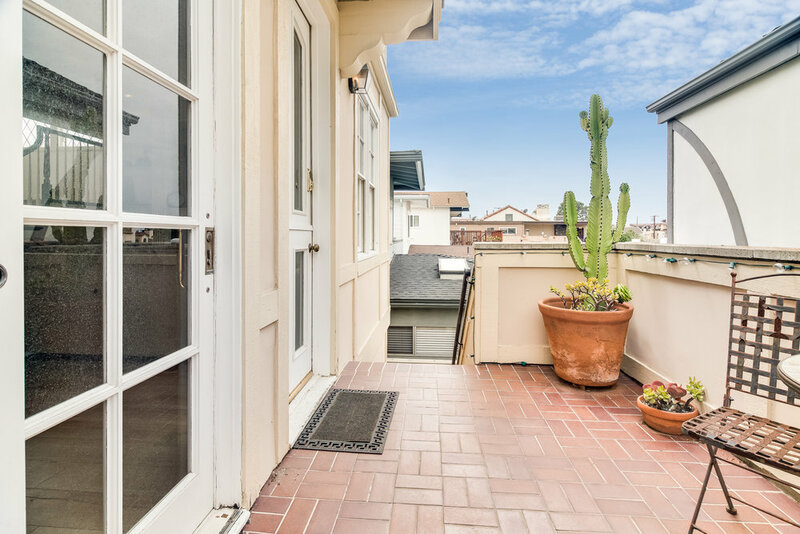 One highlight of the property is an open air, upper level deck with expansive patio & BBQ area designed for outdoor entertaining that affords a wonderful sunset, harbor, peninsula, ocean and Catalina views. In addition, the residence has an indoor laundry area for a full size washer & dryer, central air conditioning and a two car garage. Walk to all premier shopping dining, parks & of course the beach that is right down the street.